Faves: Christmas Books | Pi'ikea St.
It’s almost Christmas! We’ve got a huge stack of Christmas books here but there are only a few that we want to read again and again. 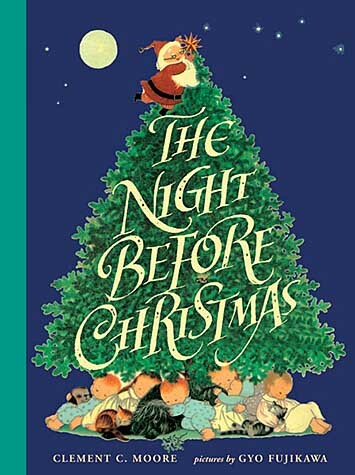 The Night Before Christmas, that classic poem by Clement C. Moore, is a staple of Christmastime and these illustrations by Gyo Fujikawa are our absolute favorite. Gyo’s whimsical illustrations are the perfect counterpart to the poem and include our favorite imagining of Santa Clause ever. This book is quite lovely and is one we read quite frequently. 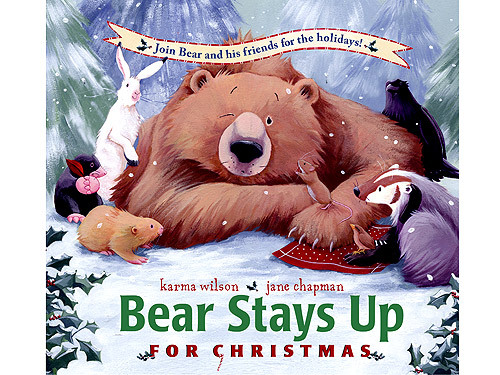 Bear Stays Up for Christmas by Karma Wilson and Jane Chapman is the holiday book from the popular series started by Bear Snores On http://www.amazon.com/Bear-Snores-Karma-Wilson/dp/0689831870/ . In this story our favorite sleepy bear gets woken up by his forest friends for a Christmas celebration. Those familiar with the series will know about the fun to read story and the warm and cheerful illustrations. This was an instant classic in our house. 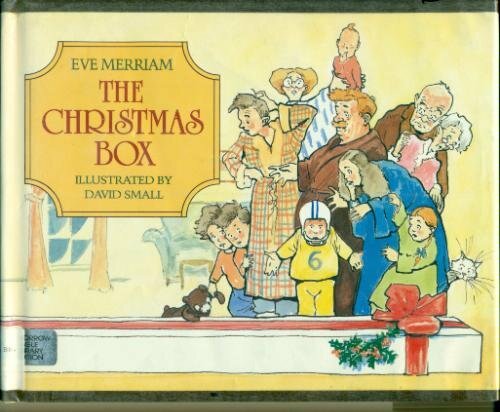 The Christmas Box by Eve Merriam and illustrated by David Small is a fun story about a big family waking up on Christmas morning surprised at the lack of presents left by Santa. Instead they find one long mysterious box under the tree. As they open they discover a long string of presents for each family member. This is a goofy tale that is fun to read and look at. 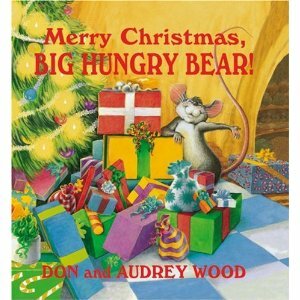 Merry Christmas Big Hungry Bear by Audrey Wood and illustrated by Don Wood is another holiday book from a popular bear series. This time from the classic that is The Little Mouse, the Red Ripe Strawberry, and the Big Hungry Bear. This fun story follows a mouse as he’s getting ready for Christmas and wondering how he can share it with the Big Hungry Bear. This is a great story with great themes like bravery, generosity, and compassion. What are your favorite Christmas books?